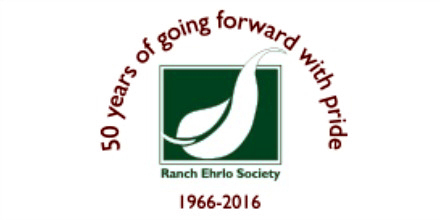 Last Fall, I had the privilege of working with the senior leadership, management, and direct-service providers at the Ranch Ehrlo Society, in Saskatchewan. Ranch Ehrlo delivers a wide range of accredited mental health and developmental services on campuses located in Regina, Saskatoon, and Prince Albert, including outpatient assessment and psychotherapy, family therapy, early learning, day treatment and vocational training, emergency receiving services, treatment foster care, supportive housing, city-based and wilderness-based residential treatment for children and youth with mental health and addictions needs, and residential care for older adolescents and adults with pervasive developmental disorders. Ranch Ehrlo’s clients come from urban and rural-remote communities across Canada, including Alberta, Saskatchewan, Manitoba, Ontario, Newfoundland and Labrador, and Nunavut. The scale, complexity, and sophistication of Ranch Ehrlo’s operation made for a great professional experience and learning opportunity. Our organization had the pleasure of working with Paul as he conducted a broad operational review of our Residential Treatment program for us. Paul is a trained clinician and he brings a very unique combination of skills, abilities and expertise to the consulting work he does. Paul is a strategic thinker, yet he also has an ability to take detailed data and statistics and find insights and meaning in them. He is a strong critical thinker and is able to synthesize information and communicate it back in a meaningful way. He is forthright with his perspectives but is always respectful in all his interactions. Paul’s warmth and wit made for an open and comfortable engagement with the staff in the agency. – Andrea Brittin, CEO, Ranch Ehrlo Society, February 2019.